In close cooperation with the other members of the university management board, the Chief Information Officer (CIO) is responsible for the management of the information system function at JGU. He represents the president with regard to directing, planning, organizing, and controlling of information and communication systems. In addition, the CIO advises the president and the chancellor on the organization of JGU institutions involved in the selection and development of information systems as well as on aspects concerning the structure of IT-supported activities and administration processes. The CIO is appointed by the JGU President in agreement with the University Senate. Professor Franz Rothlauf has been Chief Information Officer at Johannes Gutenberg University Mainz since August 1st, 2016. His term of office ends on March 31st, 2019. Reappointment to this office is possible. Franz Rothlauf received a Diploma in Electrical Engineering from the University of Erlangen, Germany, a Ph.D. in Information Systems from the University of Bayreuth, Germany, and a Habilitation from the University of Mannheim, Germany, in 1997, 2001, and 2007, respectively. 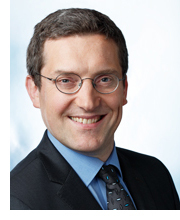 Since 2006, he is professor of Business Administration and Business Informatics at Johannes Gutenberg University Mainz. He has published more than 90 technical papers in the context of planning and optimization, evolutionary computation, e-business, and software engineering, co-edited several conference proceedings and edited books, and is author of the books "Representations for Genetic and Evolutionary Algorithms" and "Design of Modern Heuristics".